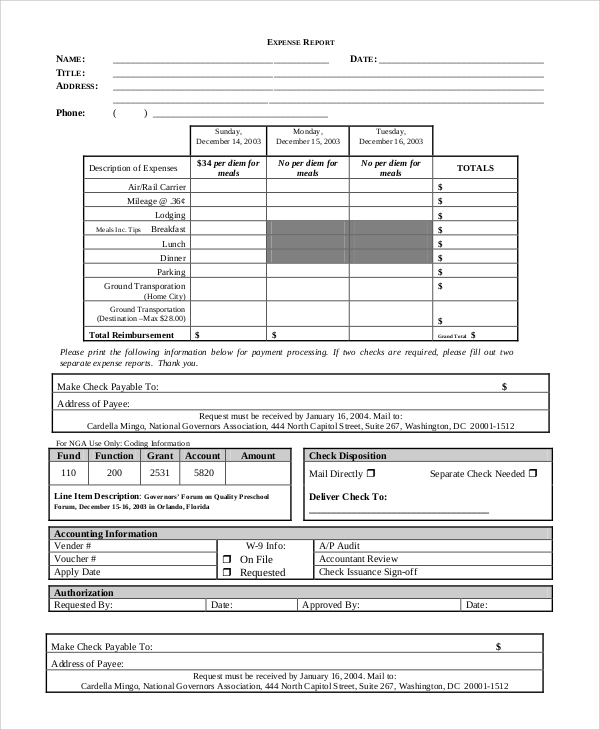 Expenses are an important feature of any organization in its field of operations. A constant watch on expenses needs to be maintained so that they don’t go out of hand for the company, resulting in losses for the firm. 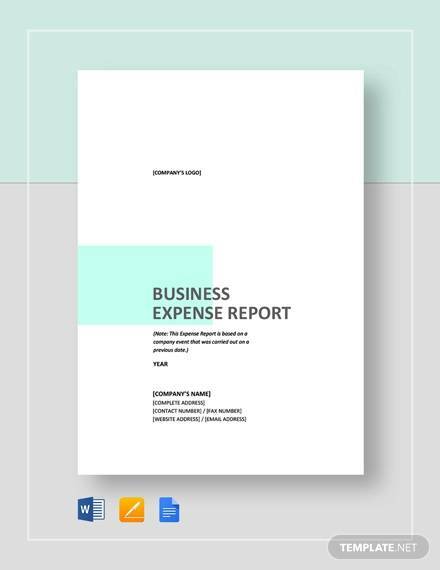 Reports on expenses thus serve as a constant reminder for the management to keep a lookout for unnecessary expenditure on the enterprise’s part. 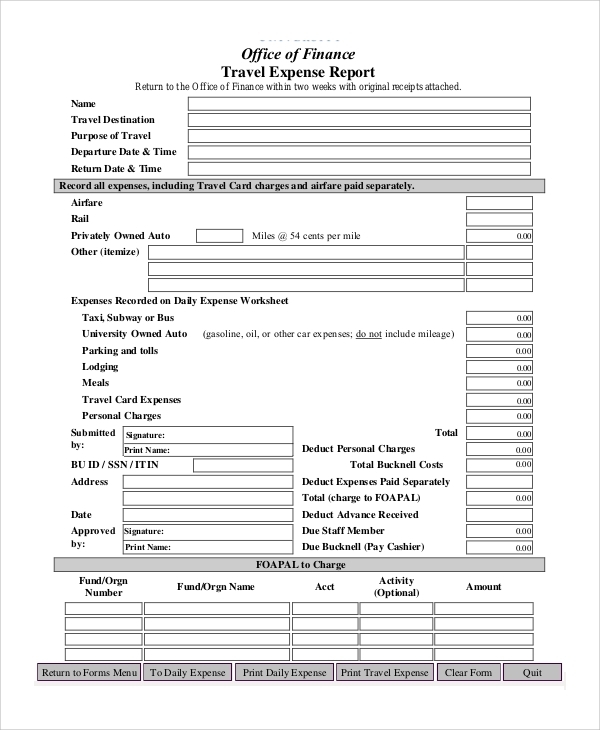 Here is a list of Sample Reports for expenses incurred by a firm. 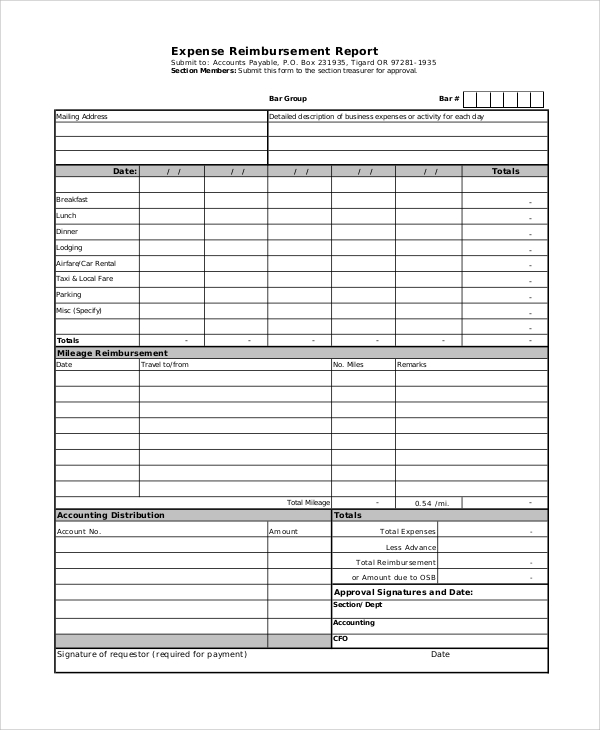 This Sample Expense Reimbursement Form shows the expenses that would incur on the company’s part for reimbursing previous expenditures and thus, removing any potential debts on the enterprise’s financial arrangements. 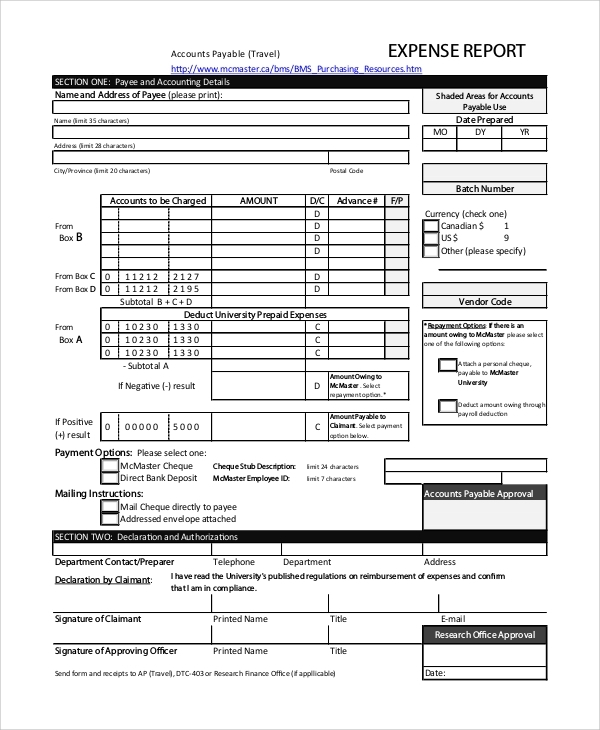 This type of report is of an accounting nature, whereby all the expenses of the organization are accounted for, and any anomaly is pointed out in the report very efficiently. 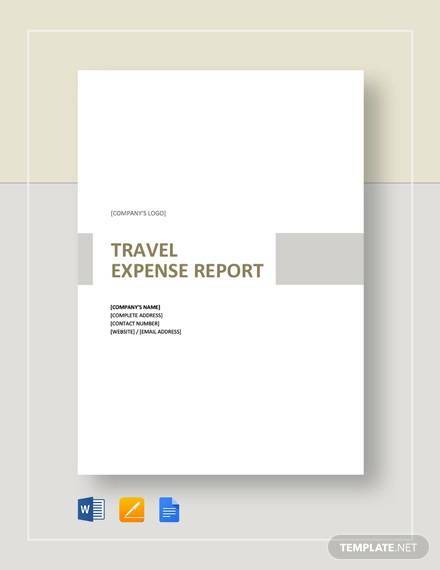 This report is prepared by the financial department of a firm which indicates the expenses a company has incurred while providing traveling benefits to employees and office-bearers equally and impartially. 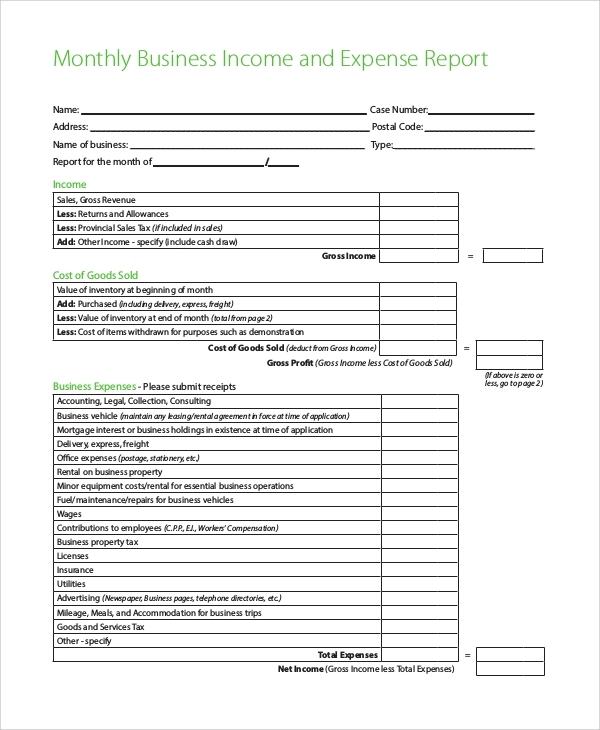 Sample Expense Reports are a useful document as far as running an enterprise’s administration is concerned. 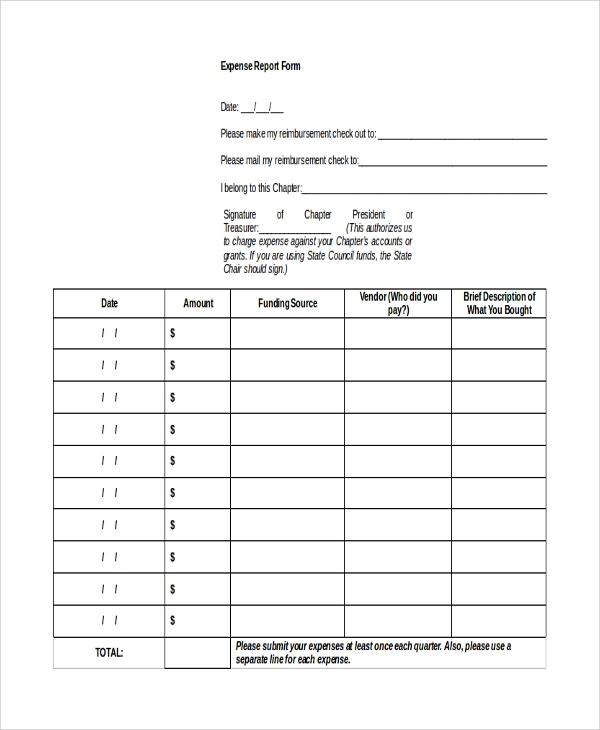 Expenses reflect the firm’s ability to prosecute its business operations in its scale but a watch on them in a constant necessity. 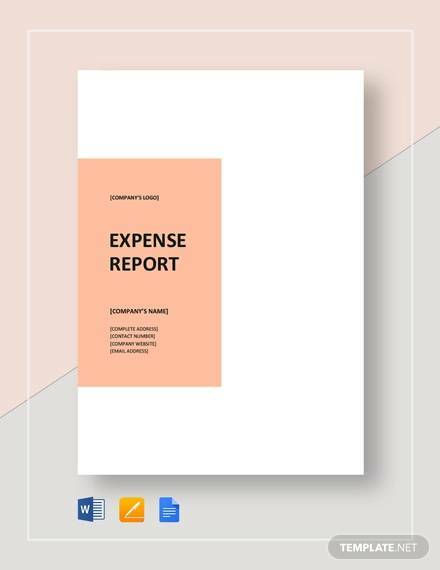 Expenses have the tendency to become more than what had been envisaged, and thus, they run the risk of being unintentional liabilities for the firm, resulting in unintended losses that could be easily avoided with careful examination of expenditure by the enterprise’s management. 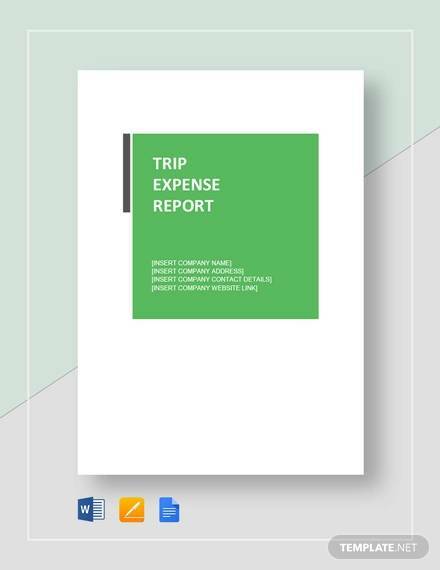 Thus, expense reports are a useful way to curb unnecessary spending and concentrate expenses on the right direction. This report is prepared by college authorities to understand the kind of expenditure the college is experiencing to provide amenities and infrastructure to students who are attending it. 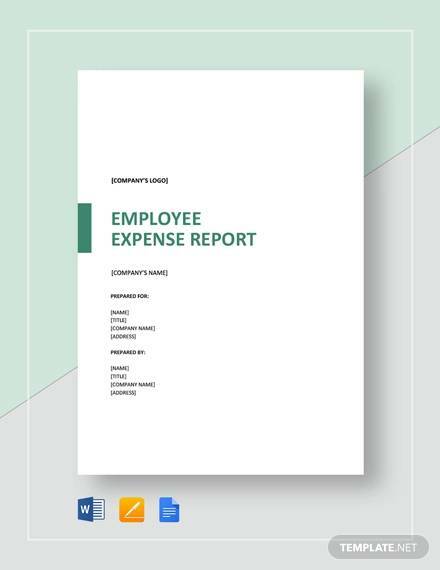 This report seeks to understand the difference between the firm’s income and its expenditure in a specific period, whereby extra expenses could be spotted and clamped down on. 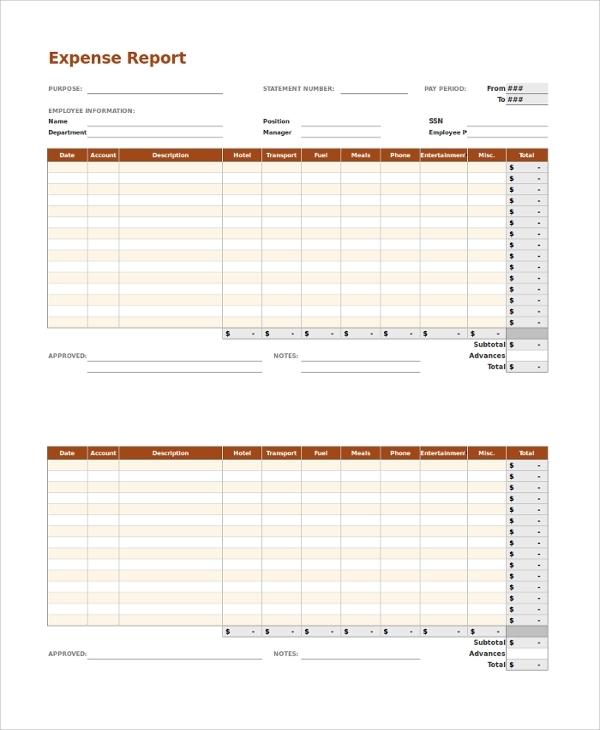 If you are a part of a firm’s management, then these Expense Reports are going to serve you some purposes. 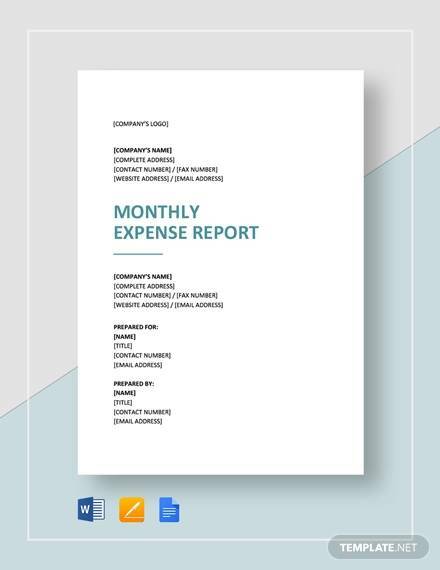 Keeping an eye on expenses would become easier by utilizing comprehensive reporting on them from time to time, enabling you to spit huge expenses in time and resolve them before they turn out to be a problem in the firm’s further progress and growth. The filing of such reports would also help to understand how much is being spent on critical operations and how the expenses can be strategically diverted at sectors which need due attention and care. 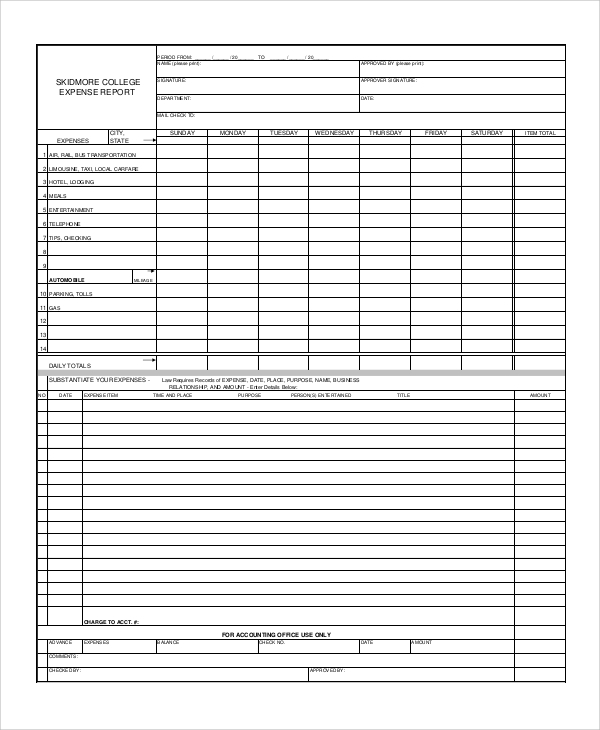 We have a wide variety of sample reports with us that can be used as per your need. 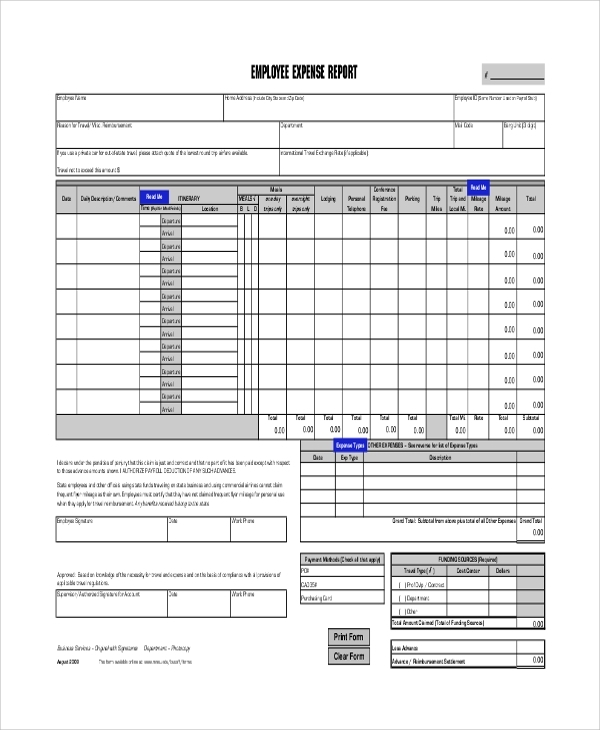 Our samples are editable, meaning that you will be able to insert and edit the necessary information about reporting on expenses, allowing you to use the Unreimbursed Employee Expense Samples as your own. If you have any DMCA issues on this post, please contact us.